Cool room walls coated Megapoxy MC Blue, Floors coated in Megapoxy MC Grey. Map the Miner repaired using Megapoxy 132 after being vandalised. Megapoxy 206 being trowelled onto a floor to repair surface damage. 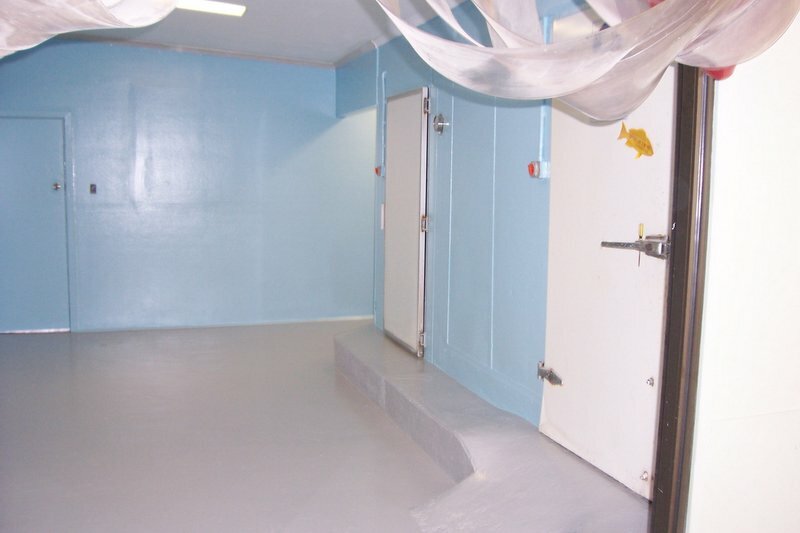 Epoxy pastes and liquid resins for Industrial and Construction use. Megapoxy RMF : As above but with a 10 minute work time. Megapoxy 132 self leveller with Sapphire Blue pigment to level out a undulating commercial kitchen floor. Megabond: tile adhesive is suitable for bonding stone and tile to all masonry surfaces, including cement sheet, cement render, plaster board, timber and is suitable for interiors and exterior applications. Megapoxy MC:chemical resistant maintenance coating. 2hr work time. Megapoxy PF:Liquid: fast set epoxy general adhesive. 3 minutes work time. Megapoxy H & stone to make Porous Paving, stops loose stones on the footpath. Megapoxy 34: for electrical cable jointing and encapsulation. 30 minutes work time. Megapoxy 206: is a two component hydrophilic epoxy grout, 30 minutes work time. Megapoxy 108: is a rapid set liquid epoxy binder for use in civil engineering applications where early development of high strength is essential. 8 minutes work time. Megapoxy H & coarse sand used to make Porous Paving around a pool. This stops pooling water, making the bull-nosing less slippery. 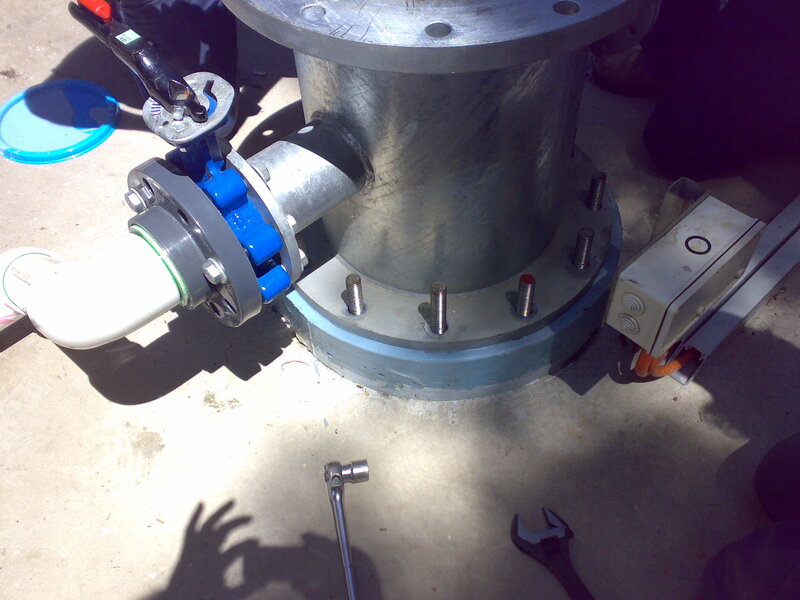 Megapoxy HICB used for grouting under this water shut-off valve. Megapoxy E: is recommended for encapsulation of instrument transformers, lighting transformers, small power transformers and coils, for electrical and electronic business. 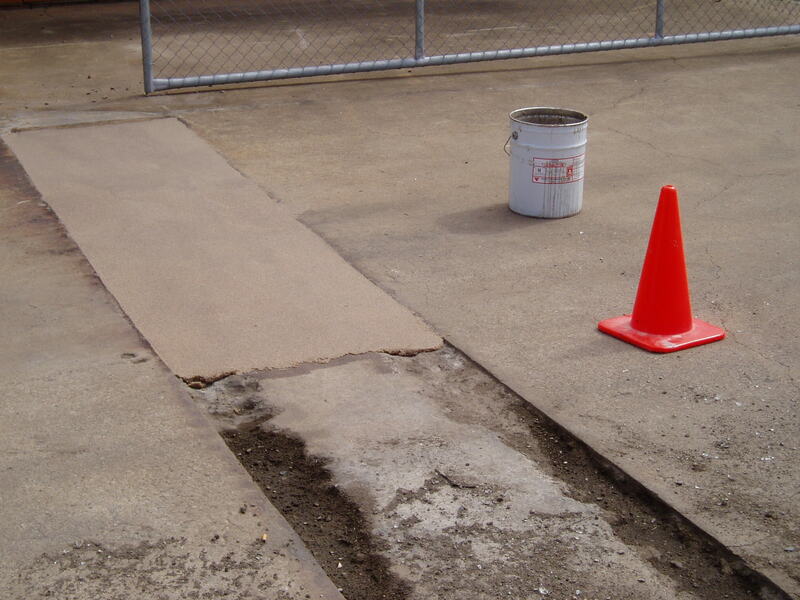 Megapoxy HX: is a low viscosity 100% reactive epoxy resin for the repair of cracks in concrete. HX is also suitable for impregnation of porous substrates such as masonry and timber. 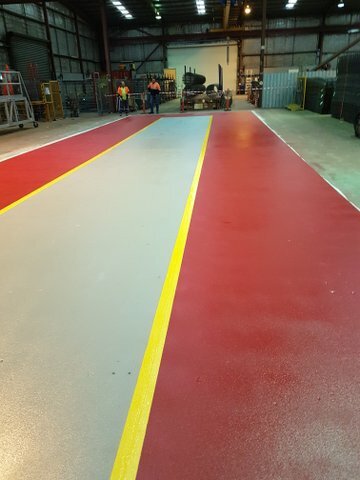 Megapoxy CT5: is manufactured compound for backfilling and encapsulating inductive detector loops, weigh in motion sensors, and Aircraft landing lights on asphaltic and concrete roadways. Megapoxy 132 used in a loading bay. Megapoxy MC Blue used in the rejuvenation of an old concrete swimming pool by SA Pool & Spa Services. Megapoxy LVS: Has been developed as a penetration sealer for concrete brick and other porous surfaces. It must be applied thoroughly to dried substrates. Megapoxy 108/78: recommended for civil engineering applications at ambient temperatures down to –10°C. Megapoxy 108/78 and Megapoxy 131 cure to high strength products and have been used extensively for anchoring steel into concrete and as construction adhesives under cold conditions. 4 minutes work time at 20 degrees, 4.5 hours work time at -10 degrees. Megapoxy Megadure Ceramic being used to glue and grout ceramic tiles into a pipe for abrasive materials transfer. 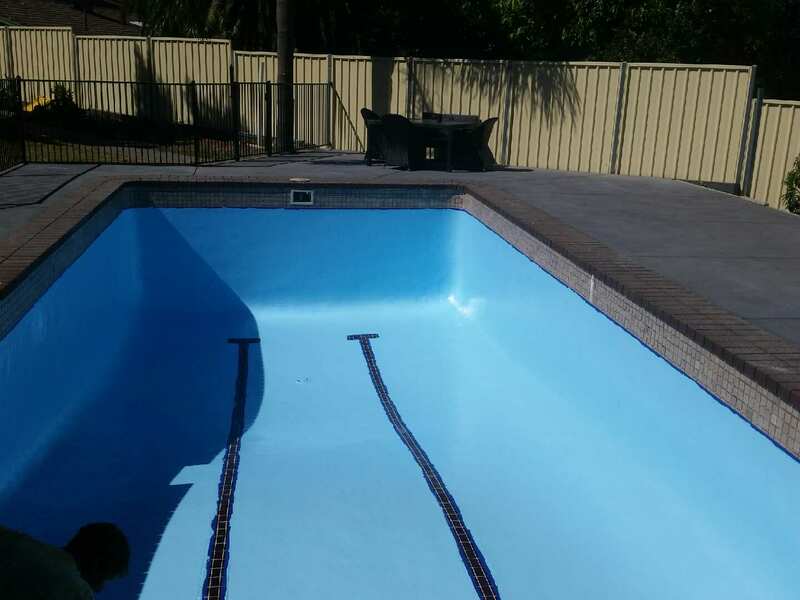 Morphettville Racecourse Horse Pool repainted with Megapoxy MC Blue.